The projects website provides an overview of the project objectives, structure and partners as well as events and news related to relevant issues of the project. Furthermore, project outputs such as deliverables, policy briefs and publications are regularly promoted on the website. Ecologic Institute is responsible for the concept, design and programming. 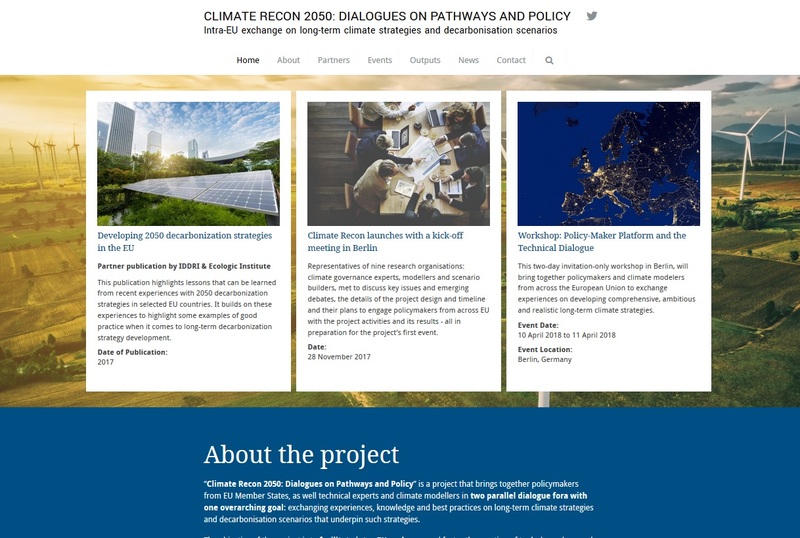 The project Climate Recon 2050 seeks to fill crucial gaps in the landscape of existing political processes by fostering a community of experts and policy-makers for the promotion of longterm climate strategies as a tool to guide the low-carbon transformation in Europe.